Laughter lines, retirement, and grandchildren are a few of the benefits of growing old. One of the drawbacks is the risk of age-related macular degeneration (AMD). February is AMD Awareness Month, which makes it a good time to shine a spotlight on this progressive eye disease, which is the leading cause of vision loss in people over 60. Macular degeneration is what happens when the area of the retina with the most light-sensitive cells deteriorates. This area, the macula, is what gives us our central vision, which makes it possible to see enough detail to read and write, drive, and make eye contact with people we talk to. Loss of this central vision makes it difficult to do many of the things we take for granted. Age is the biggest risk factor for AMD. While macular degeneration can happen earlier in life, it is most likely to occur after age 60. Additional factors can increase the likelihood of developing AMD, such as race, family history and genetics, and smoking. AMD is painless, and there may be no symptoms in the early stages. As it progresses, blurry patches or dark spots begin to appear in the central vision. Objects may look less bright than they used to, or they may appear warped. There are two main types of AMD: dry and wet. 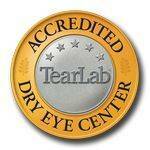 Dry macular degeneration is by far the most common, affecting up to 90 percent of the people with AMD. It occurs when macular tissues thin over time, typically accompanied by fatty deposits of drusin in the retina. The effects tend to be less serious than those of wet AMD. A tenth of dry AMD cases will progress to wet AMD, which occurs when new, unstable blood vessels grow under the retina. These vessels can leak fluid and scar the macula, causing more rapid and serious vision loss than dry AMD. You can do a lot to reduce your risk of developing AMD or slow its progression if you already have it. The key is healthy habits.Exercise regularly and maintain a healthy diet rich in foods like carrots, fish, leafy greens, and eggs. You can also protect your vision by wearing UV-blocking sunglasses and avoiding smoking. With both types of AMD, regular eye exams are essential for early detection. There is currently no cure for AMD, but a diagnosis is crucial for treatment that can slow the disease’s progress. If you’re worried you may be at risk for developing AMD, come see us today! We feel so fortunate to have you as our patients!